Baking, also called heat molding, a new pair of hockey skates can be a great way to get them broken in more quickly. Yes, that’s right, you will actually put your skates in a heated oven and let them bake a la cookies. 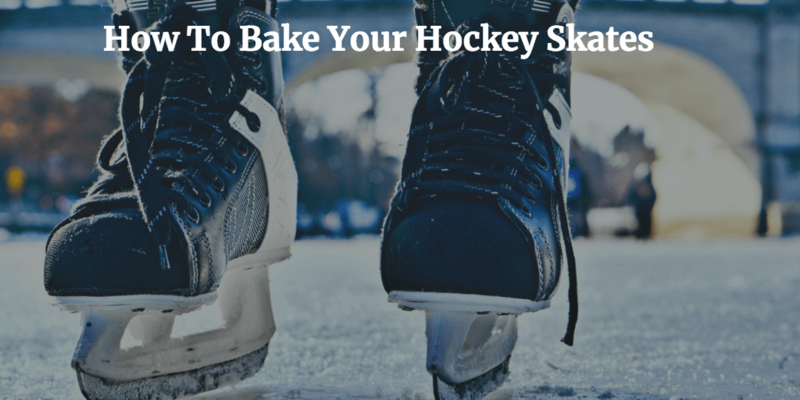 By baking your hockey skates, it can help ensure the skates fit your feet better and therefore hurt less as you begin wearing them. As a result of baking, your hockey skates will feel more comfortable and be functional in a matter of minutes. That being said, make sure you are careful in following the instructions for baking your skates below. If you don’t get it right, you can risk ruining your brand-new skates. 2. Once the oven has been kept at 175°F for 15 minutes, turn the oven off. This will keep a constant temperature, but without additional heat hitting the surface of the boot. 3. Loosen the tongue of one skate, pulling it forward so there is plenty of room. If you don’t do this, you will have a tougher job when it comes to molding the skate. Then place it on a baking tray. 4. Put the baking tray into the center of the oven. Bake the skate for a maximum of eight minutes. Around six minutes, quickly open the door and feel the surface of the skate. If it hasn’t softened, go for the whole eight minutes. 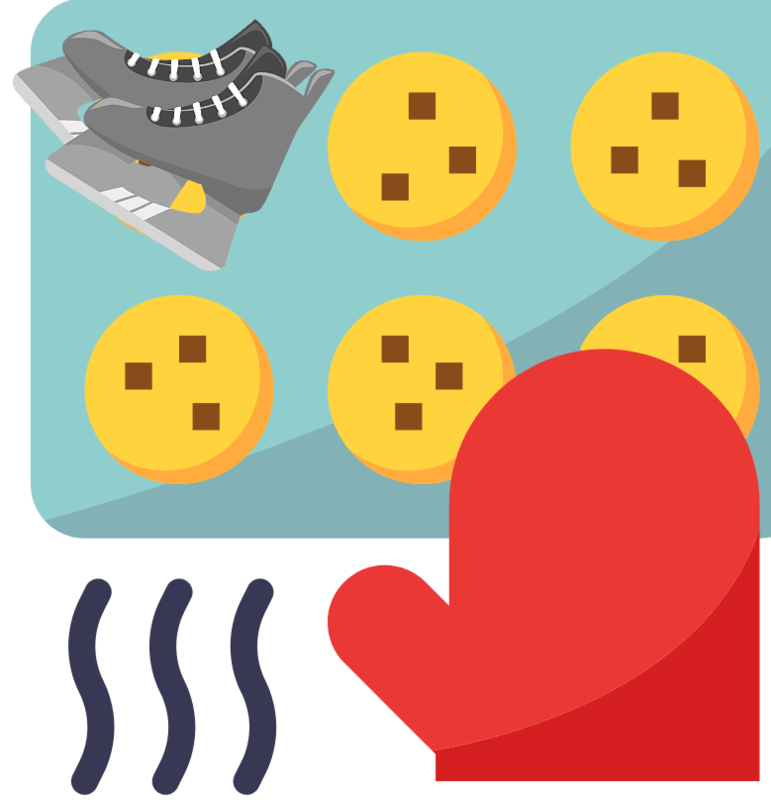 Once the hockey skate is heated to the level that the upper material is soft when pressed, remove it from the oven and then go through the steps below to mold it to your foot. 1. First make sure that you are already wearing the socks that you will normally wear when you skate. This is important because the thickness of the sock will affect the molded fit. If you don’t wear your normal hockey socks, you won’t get a true fit. 2. Take the skate out of the oven and sit down on a chair. You need to do this quickly, because obviously heat is escaping from the boot every second. 3. Push the tongue as far forward as you can, and then put your foot into the skate. Make sure that when your foot is inside, it is pushed flat against the bottom, and that your heel is flat against the rear of the boot. 4. Pull the tongue back into its natural position, and then proceed to lace up the skate. Don’t over tighten the laces, lace it up in a way that feels natural to you. If you over-tighten the laces, you could create a mold that doesn’t fit if you tie them more loosely in the future. 5. Leave the boot on for 15 minutes until it has cooled. While it is cooling on your foot, gently move your feet within the boot, especially sliding the foot back, so the front of the blade is facing down onto the floor. This will help to mold it into the shape you will make when skating. 6. Gently unlace the boot and remove it from your foot. Then lace it up again to keep it in shape. Leave it to cool thoroughly for a few hours. All you have to do then is to repeat the process with your other hockey skate, and you are good to go. If you’re looking for a video on how to bake hockey skates, then this You Tube video below is really great. It’s clear, and explains the whole process we have explained here, but with great visuals. What has your experience been with baking skates? Do you always do it or prefer breaking your skates in the natural way? We’d love to hear from you in the comments below!